Meet Travis, Jessica and Aleeya, our 76th Habitat Family! The Olson-Koller family is building in Aurora, our 5th build in this beautiful community. Travis and Jessica grew up on the Iron Range and along with their dinosaur-loving daughter, Aleeya, are very excited for this next chapter of their lives. Currently, they live in a small, old, two bedroom apartment above a garage. It is heated by natural gas and the living area can only be heated if the garage is heated first. Even in the spring, their heating bill is high. It has been a long road for them, but they have perservered through the trials of life and are now only months away from owing their very own home! 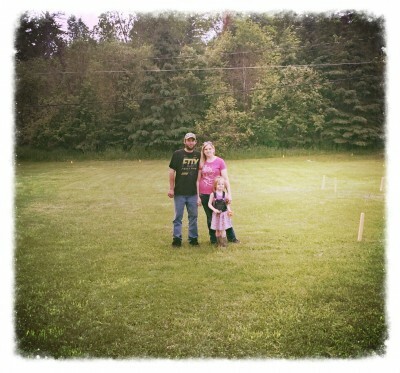 Congratuations Travis, Jessica and Aleeya - we look forward to welcoming you to your new home! This home is near completion! Watch for the Dedication to be schedule soon. You don't want to miss the opportunity to formerly welcome this family home! 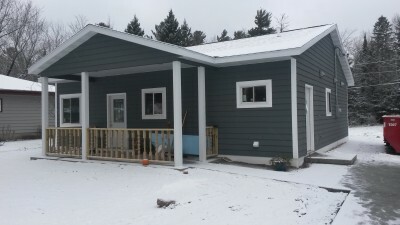 To get weekly updates on this home and other current projects, sign up for our weekly email update by clicking here, emailing Susan Garrett at susan@nslchfh.org, or by calling the office at 749-8910.